As a registered healthcare professional, it is my duty to respond to sudden emergencies. Fractured teeth. Monumental infections. Collapsed strangers in the street. Dental or non-dental, I am expected to respond. 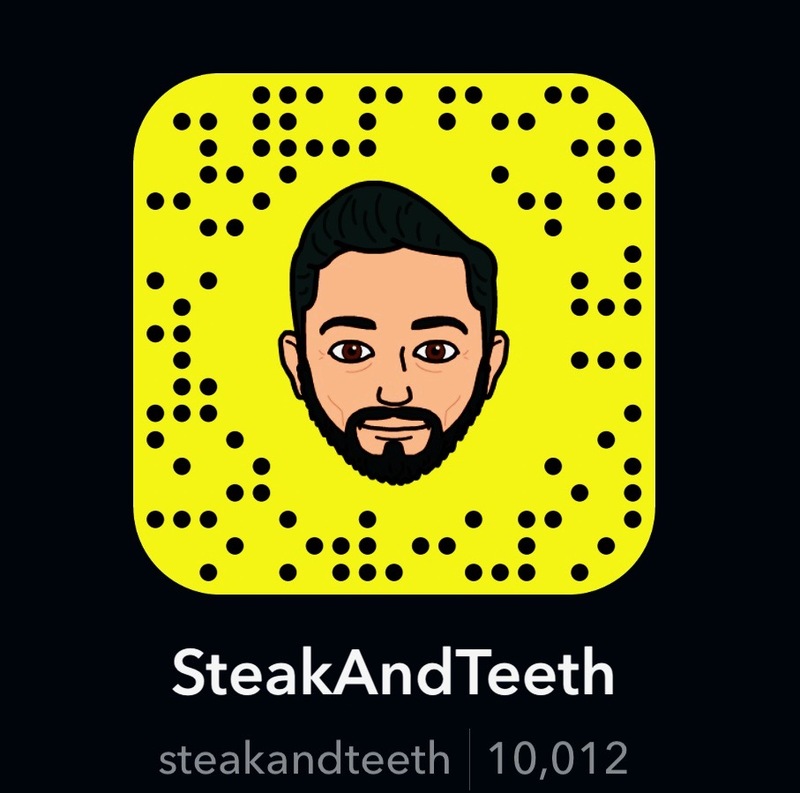 So, when Feroz of Bake Street cafe called to say that a friend had dropped out of a soft launch dinner booking at the new branch of Zelman Meats, I knew that I had to step up as his replacement. This moment, this positive opportunity, this task of providing assistance in eating fine steaks, would be my sacrifice for him. Forged from the magic money tree of Russian restaurateur Mikhail Zelman, Zelman Meats is a sister restaurant to the likes of Goodman, Burger & Lobster, and Beast. Though thoroughly American in its style and delivery, the menu is as blunt, bare-knuckled, and to-the-point as Russian diplomacy. The stripped-down listing consists of a handful of starters, a few fresh cuts of beef, and no more than a couple of desserts – heaven if you happen to be with an indecisive dining companion. Fortunately, my dining companion was not one to mess around, and so, we began with every starter we could lay our hands on. The tiger prawn tempura was soft, savoury, and well-cooked, but lacked a sufficiently crisp texture in its battered casing. The accompanying mayonnaise also failed to elevate the dish any further, owing to a very mild, tangy flavour, and a lack of any particular standout features. The tuna tartare followed a similar path, and though sufficiently fresh and dressed in a combination of soy, chilli, and sesame seeds, this dressing lacked the sharpness that one would have expected. Still, the accompanying bed of avocado was a pleasant complement, and much like the prawn tempura, it was still a palatable starter. By far my favourite appetiser of the night was the simple burrata. The springy, stringy mozzarella shell oozed with a rich, cheesy, creamy core, which was emboldened by the vibrant sundried tomato puree. With our appetites sufficiently tickled, we patiently waited for the real treat of the evening. Feroz had pre-ordered a death-defying combination of halal picanha and chateaubriand steaks, measuring in at 400g and 500g respectively. Suffice to say, my cholesterol levels would not be in a happy state the following morning. 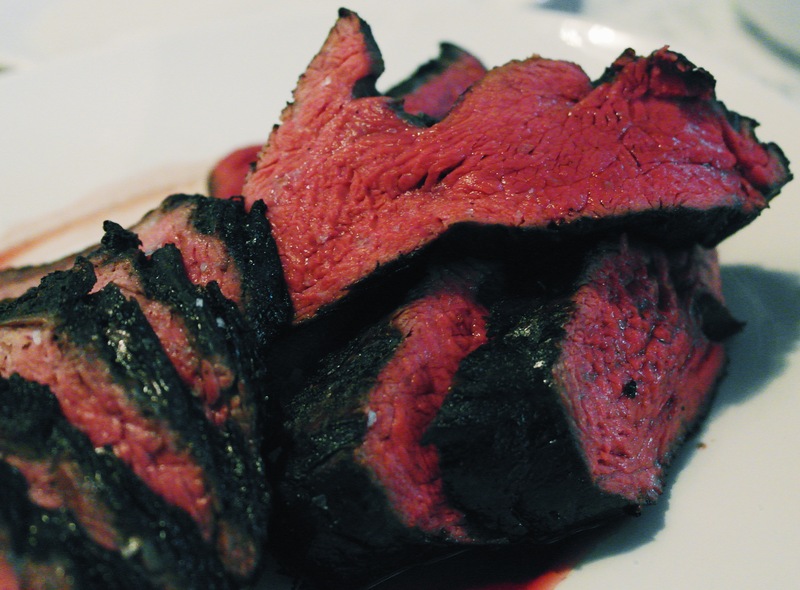 First to be devoured was a slice of chateaubriand – a thick and succulent slice of pure joy. Its juicy core boasted a phenomenal medium-rare cook, which oozed with rich, protein-infused juices, whilst its exterior possessed a dark, crisp crust that was simply flawless. The inherent flavours within were a different experience altogether. Rich, bold, and utterly intense, they unified with the deep, smokey essence of the crust, and infiltrated every tastebud in sight. By contrast, the picanha possessed a more creamy, and buttery flavour, and served a more soothing touch of beef in between the knockout punches of the chateaubriand. To accompany our mountains of meat, we had ordered a bowl of triple-cooked black truffle chips. These were crisp, bold, and fragrant, and though double the price of the regular triple-cooked chips, we thought them to be worthy of the added expenditure. By this point of the meal, the two of us had decided that going home would be far too arduous, and instead, a trip to the nearby Bart’s hospital would be far quicker, and far more comfortable. In light of this, we ordered both desserts on the menu – a warm chocolate brownie, and an almond and pear frangipane, both served with vanilla ice cream. Alas, the warm chocolate brownie was mediocre at best, owing to a greasy, muddy texture, and a rather dull vanilla ice cream. The almond and pear frangipane fared no better, with muted flavours and uninspiring textures. Disappointingly, a warm trip in an ambulance would not be on the menu for this night. When it comes to the bill, you can expect to pay between £7 to £12 per 100g of steak – depending on which cut you go for, whilst starters range from £8 to £10, and desserts cost around £5 to £6. Our own bill would have amounted to £151 without the soft launch discount, and this includes a £28 fee for the 400g of halal Picanha, and a £60 fee for the 500g of halal chateaubriand. We did however, order remorselessly, and should you choose to skip the starters and the desserts – (and I would certainly recommend that you do), you should be able to enjoy a meaty feast for anywhere between £30-£50 per person – depending of course, on which cuts you choose to order. Though this may seem a little pricey, it’s actually a rather reasonable fee for the quality and the calibre of the steaks that you receive. Service is also rather prompt and well-paced, and the courteous staff members that we encountered remained attentive and efficient throughout the course of the evening. The decor on the other hand, doesn’t feel quite so co-ordinated. The St Paul’s branch sits inside a large, contemporary glass-fronted building, whilst boasting a more traditional steakhouse set-up that is adorned with a number of abstract pieces of artwork. Put together, it’s all a bit of a mish-mash between a modern eatery, a rustic steakhouse, and a contemporary hillbilly art gallery, but it remains a comfortable and cordial setting. The St Paul’s, Knightsbridge, and Soho branches can be found a short walk away from St Paul’s, Knightsbridge, and Tottenham Court Road stations respectively, and public transport is advised. For every ounce of mediocrity encountered in their starters and desserts, Zelman Meats serves up an infinite amount of joy in their high calibre slabs of steak. Put simply, this is not the restaurant to go to for a dazzling three-course meal, but it is most definitely the restaurant to go to for a phenomenal bite of beef. From the quality of the cuts used to the standard of care and cook that is achieved, Zelman Meats is a heart-clogging experience, and one that anyone who claims to truly love steak should seek to receive. The Knightsbridge branch have a selection of halal steak cuts on a daily basis. 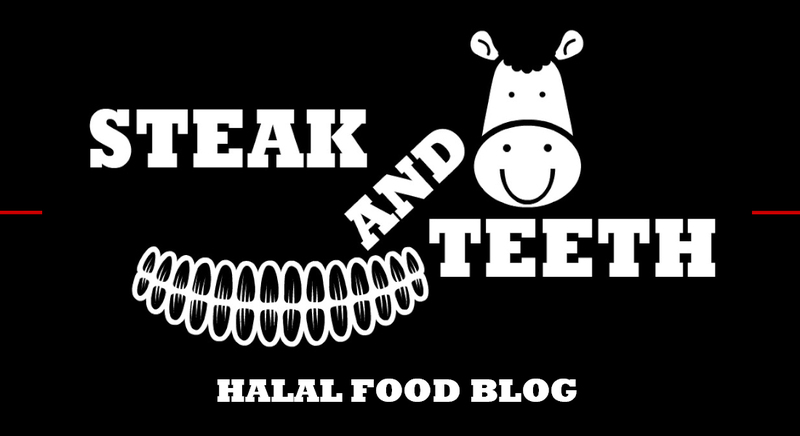 Halal cuts are stored and cooked separately. The Soho and St Paul’s branch meanwhile, can provide halal cuts when given 48-hours notice.